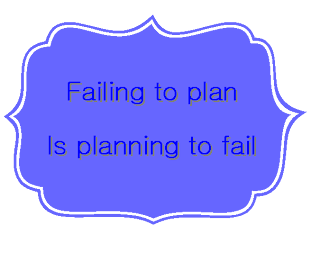 There is a guy on the radio around here who constantly reminds me that "failing to plan is planning to fail." I think he's selling insurance. Or maybe retirement services. Either way I get annoyed every time I hear it. I hate making plans. I am much more of a "fly by the seat of your pants" kind of person. I like being spontaneous. I like living life as it comes. However, I do get into situations where I wish I had planned better. There have been times when I could have accomplished things in a more organized manner if I had just sat down and thought it out first. There have been times when I wouldn't have had to choose between two fun options if I had scheduled. And I am consistently disappointed on Sunday night with how little I accomplished over the weekend. So this past weekend, I actually sat down and made a plan for all the things I wanted to get accomplished. It was tax-free weekend here in Virginia, so I wanted to make sure I got the kids' school supplies. I had some organizing I wanted to take care of for some clothes the kids have outgrown. I wanted to catch up on some laundry before it gets out of hand again. And I knew the grass needed to get mowed before some zoo creatures decided our yard was their new habitat! Then like all good plans, mine got sidetracked with some things that couldn't happen and new things that came up. But for the most part, I got the essential things done. And I certainly got more done this past weekend than the three or four previous ones combined! Plus, I got to revel in that awesome feeling of satisfaction you get when crossing things off a list! So maybe I'll work on making better plans. I know we spend less money and eat better when I plan meals out in advance. I seem to accomplish more at work when I wrote out a list for the week. And my blogging seems less stressful when I plan out my posts in advance. I guess in the end maybe that radio guy is right. And even the original guy he stole it from . 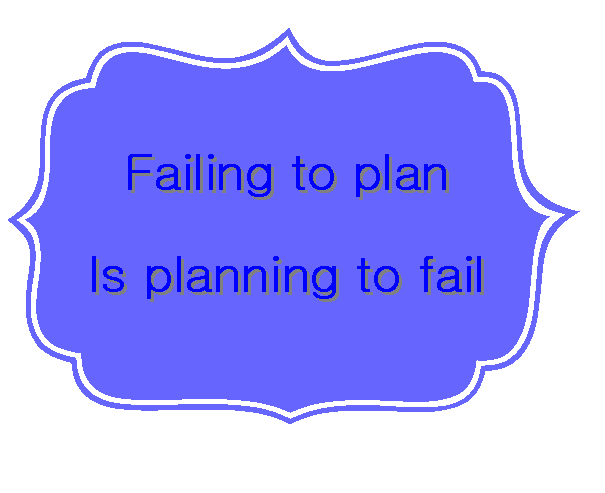 Or maybe I'll adjust it a little bit: failing to plan is planning to drive yourself crazy. That sounds pretty accurate for me! Are you a planner? Or do you prefer spontaneity? What combination of the two works for you? Oh...the elusive happy medium! I need to find one soon! I am more of a planner these days. I find I have to be in order to avoid feeling overwhelmed. Especially with meal plannign and household things, I have to make lists. I've always been into spontaneity until fairly recently. 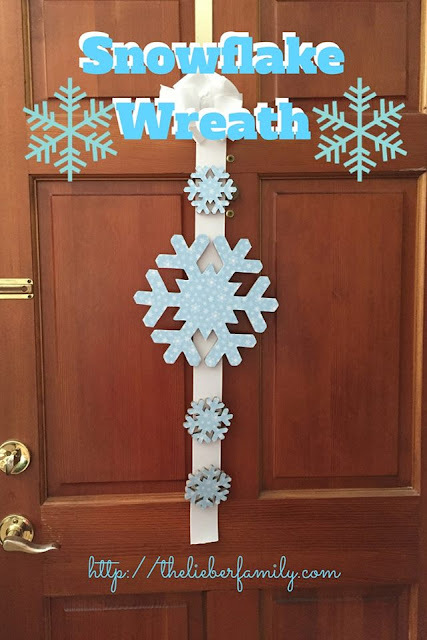 Lately I do need to schedule the blog posts for the upcoming week or weeks. Sometimes I do it and think, "Who are you??! This is supposed to be fun only." However I've changed. It's changed. It IS fun, but it's also something I feel empty without. It's work, but the best kind of work. Yeah, well, planning is a good thing. But there are a couple of huge, major things in my life for which I did NOT sign up. God has used these things to smack me upside the head and help me remember who's really in charge. Because I tend to think that I can plan my entire life and make everything perfect. Ha! True, Melissa. two of the best things in my life were not planned...I'll leave it at that!! Such a great reminder to plan. I have to do lists but sometimes tackle them and sometimes ignore them. I need to take planing more seriously, for sure!